A ministry equipping parents and leaders, using AMO® Program, for the biblical Christian discipleship of families and the nation. 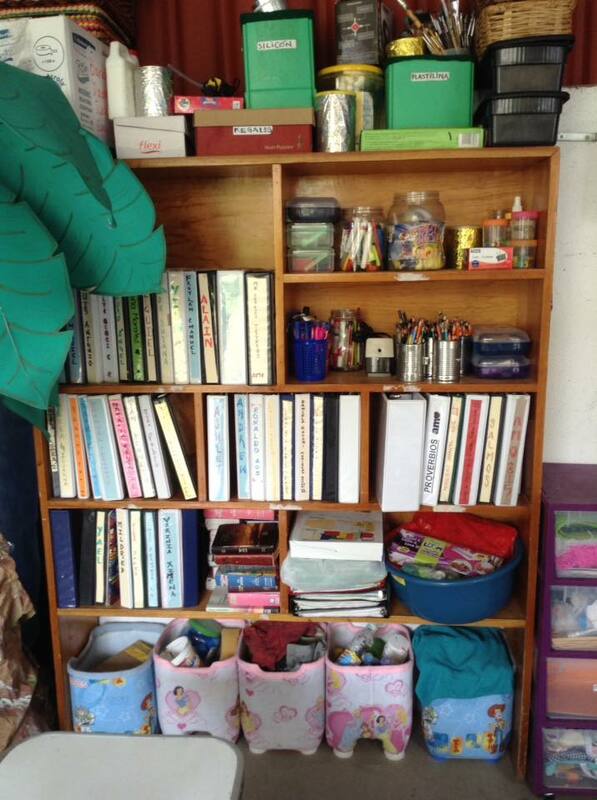 One after another some of the teachers, excitedly, began to relate how they involve their local church, receive gifts from individuals, and even recycle used items for shelving, tables, and other necessities, including decorations for the class space. They continually face hurdles but persevere. Their sense of ownership was obvious and their work demonstrates care for the children through planning, preparation and attention to detail. There are others who need more help to overcome the challenges. We devote a lot of time to help these and we are raising up more leaders to help more people. Regardless of the help we provide, in the end, it takes lots of perseverance. What is it that drives these teachers of God’s Word? Their drive is fueled by a sense of transmitting God’s eternal Word to the next generation. It comes from witnessing transformation in young lives, and families through committed, inspired, long term education/discipleship, beginning in the home and extending to the community through the church. The “school” of Christian education at home and in the church is crucial. Darrow Miller, in a great article, quoted an unnamed Mennonite saying “If we cannot control our schools, we lose our children, if we lose our children, we have no future.” Please, pray for the Church, in México and everywhere, to embrace this simple and wise principle. 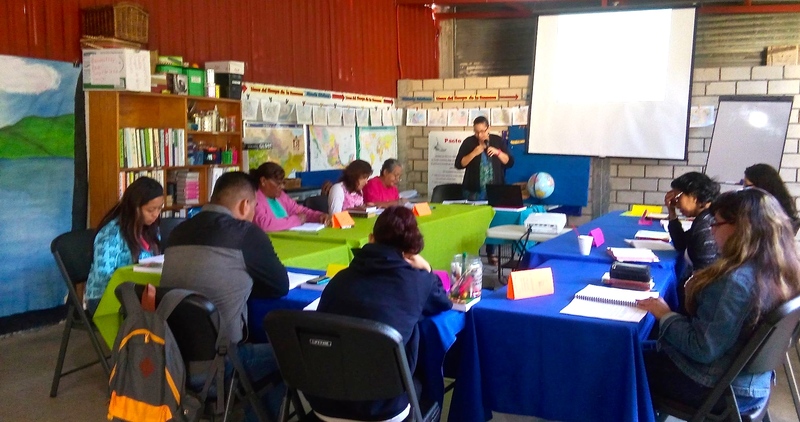 Please, pray for us as we are currently compiling a list of leaders, already trained and using AMO Program, who would possibly become additional AMO Trainers for México in the coming year. This is crucial for México. “Ser de una mente para hacer discípulos de todas las naciones” es cómo explicaría el objetivo de la conferencia de MeXED. Cuando los padres de familia cristianos, rectores de seminarios, maestros de escuela Dominical, presidentes de universidades, (entre otros) son capaces de sentarse y darse cuenta que todos son parte del mismo llamamiento y que todos necesitan el uno al otro para obedecer y cumplir el mandato de Jesús, entonces el camino está despejado para que la nación sea un discípulo de Jesucristo (Mateo 28: 19-20). Esto está sucediendo en MeXED pero necesitamos más de esto. MeXED ha tenido reuniones en Estados Unidos o en México durante los últimos cinco años. 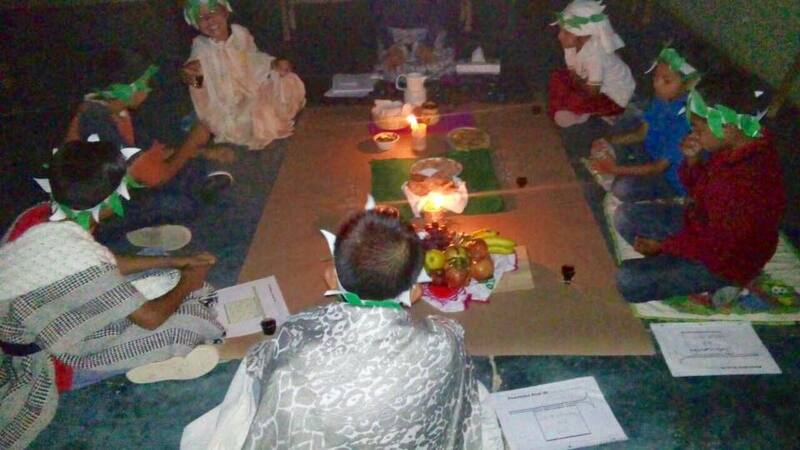 La reunión en la semana pasada en Mérida, Yucatán, en el Seminario “San Pablo”, sirvió para sacar más líderes fuera del espíritu de fragmentación y aislamiento – que el enemigo es muy capaz de orquestar – para entrar afinados en el propósito de obedecer, sinérgicamente, el mandato de Jesús. Con el cuidado de un pastor, José González de Semilla, ponente plenario, se enseñaron ideas bíblicas de transformar el espíritu de orfandad, que muchos Latinoamericanos sufren. La sanación de la familia, empezando con el pacto matrimonial, es la prioridad. Luis Sena, uno de los cinco líderes representando a República Dominicana, se dirigió a la audiencia diciendo “El programa AMO es perfecto para discipular jóvenes. Pero para que AMO sea exitoso, se necesita la ayuda de toda la comunidad Cristiana”. Luis fue instrumental en introducir AMO a República Dominicana donde hay cientos de programas AMO y miles de niños y familias beneficiándose de ello. Él y sus colegas, incluyendo Cristina Inchaustegui, la directora de AMO en Latinoamérica, están preparando ministerios en República Dominicana para responder a la petición del presidente de esta nación de enseñar la Biblia en todas las escuelas públicas. El programa AMO será clave en la respuesta. Durante MeXED, una docena de maestros AMO se reunieron para cenar. Venían de lugares tan lejanos como Jalisco, Hidalgo, Tabasco y Oaxaca. Compartimos experiencias, hicimos preguntas y disfrutamos de compañerismo. Vamos a publicar más sobre esta reunión en el próximo boletín. Gracias por sus oraciones y, por favor, continúen pidiendo a Dios de enviar un espíritu de unidad para servir a Cristo juntos en todo el discipulado y la educación Cristiana en México, y más allá. To “be of one mind” to “make disciples of all nations” is how I would explain the objective of MeXED. When Christian parents, seminary rectors, children’s Sunday school teachers, university presidents, (and others), can sit and visit together and realize they are all part of the same calling and each needs the other in order to obey and fulfill Jesus’ command, then the way is clear for a nation to become a disciple of Jesus Christ (Matthew 28: 19-20). 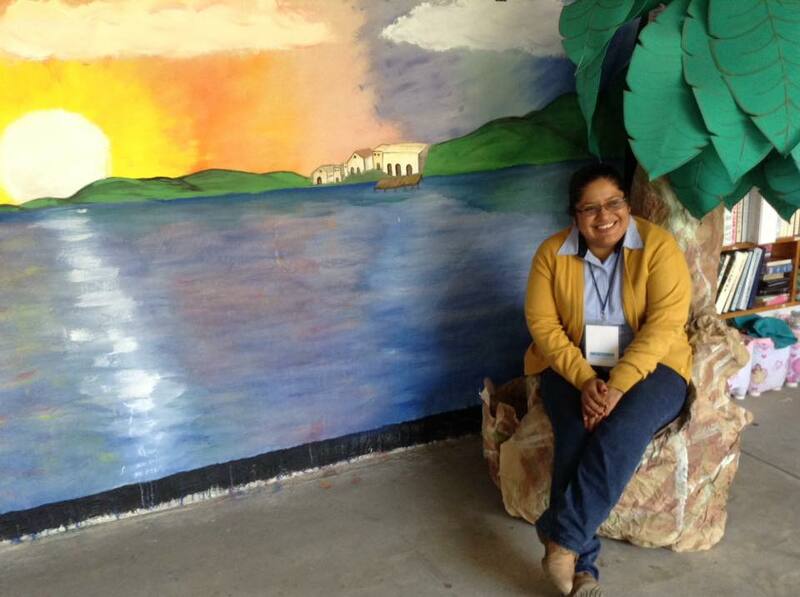 This is happening at MeXED – but we need more of it. MeXED has been meeting in the United States or México for each of the past five years. 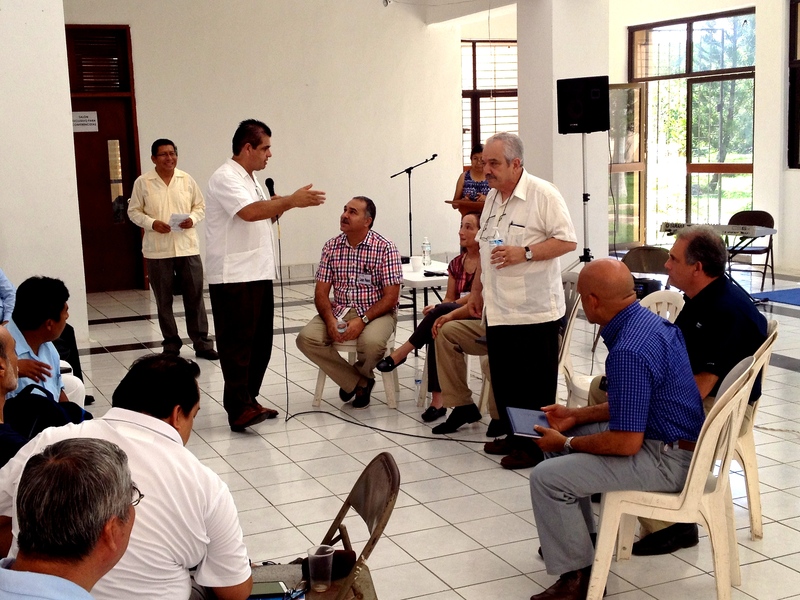 Last week’s gathering in Mérida, Yucatán, México, at San Pablo Presbyterian Seminary, served to bring more leaders out of a spirit of fragmentation and isolation – which the enemy orchestrates so well – into like-minded purpose to obey Jesus’ command in a synergistic manner. With the care of a pastor, José Gonzalez of Semilla, plenary speaker, taught biblical ideas about transforming the spirit of orphanhood, suffered by so many Latin Americans. The healing of the family, starting with the marriage covenant, is priority. 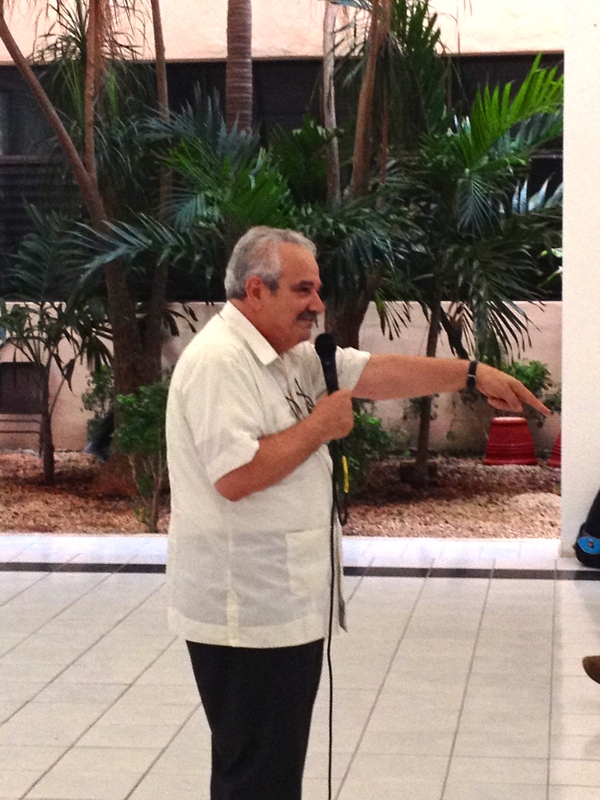 Luis Sena, one of the five leaders visiting from Dominican Republic, addressed the group saying, “AMO (Program) is the perfect tool to disciple young people. But, for AMO to function, the whole Christian community needs to help.” Luis was instrumental in introducing AMO to the Dominican Republic where hundreds of programs now help thousands of children and families. 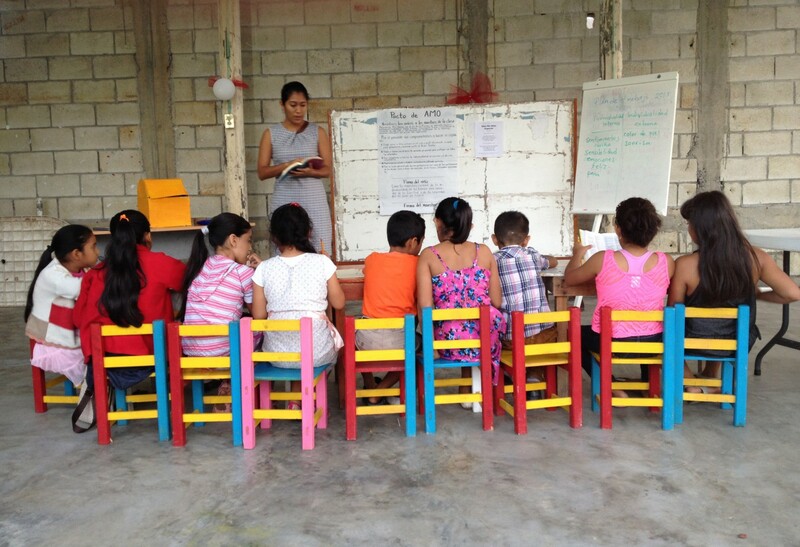 He and his colleagues, including Cristina Inchaustegui, Director of AMO in Latin America, are now preparing ministries in Dominican Republic to respond to the request from the nation’s president to teach the Bible in all public schools. AMO will be key in that response. During MeXED about a dozen AMO teachers gathered for dinner from as far away as Jalisco, Hidalgo, Tabasco, and Oaxaca. We shared experiences, asked questions and enjoyed fellowship. We’ll share more on this time with the AMO teachers in our next post. Thank you for your prayers and, please, continue praying for a unity in spirit to serve Christ together in all of discipleship and Christian education in México, and beyond. 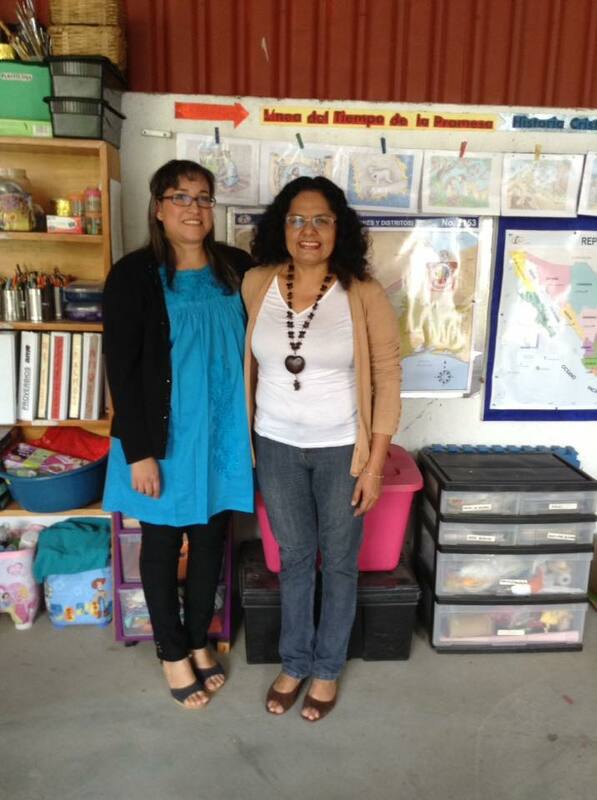 First training given by two of our new AMO trainers in Oaxaca! 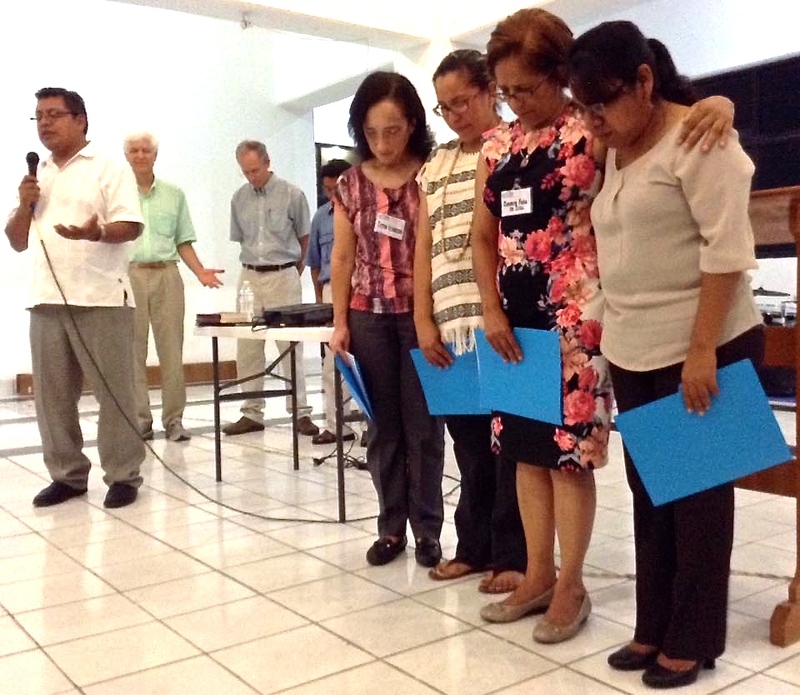 We are praising God for this very first AMO Training in México taking place in Oaxaca without our direct involvement. Congratulations to Elizabeth Aguilar and Esther Suárez for venturing out with God and expanding his work! These women prepared for a long time for this moment. Pray for them and the group they are training throughout this month, please. Estamos glorificando a Dios en este día por el primer entrenamiento de AMO en México que se está llevando a cabo en Oaxaca sin nuestro apoyo directo. ¡Felicidades a Elizabeth Aguilar y Esther Suárez por confiar en Dios en este paso importante en Su trabajo! Estas mujeres se prepararon mucho para llegar a este momento. Oren por ellos, por favor.